Five years after storms destroyed the Dawlish rail line the Peninsula Rail Task Force (PRTF) welcomes today’s announcement by Chris Grayling, Secretary of State, of £80 million in funding to commence the first phase of major resilience works to the Dawlish sea wall. The combined events at Dawlish, the closure of Cowley Bridge and the flooding of the Somerset Levels devastated the peninsula economy in 2014, costing the South West an estimated £1.2 billion. Councillor Andrea Davis, PRTF Chair said: “We have always been clear that Dawlish is our top priority and this is the first step towards seeing a resilient railway in the South West. “The Secretary of State has been continuously quoted as saying that Dawlish is the number one rail priority for the Government and this is evidence of its good intentions. Chris Grayling’s commitment is a positive step, which we welcome. Network Rail has been working with world-leading experts to find solutions to ensure resilience of the line at Dawlish. PRTF now looks forward to the physical delivery of the project proposed by Network Rail to increase the height of the sea wall to 7.5m, a project that will yield a long awaited solution to the vulnerability of the section at Dawlish. The next priority for Network Rail and the Government is to deliver plans and funding for resilience works from Parsons Tunnel to Teignmouth, which the PRTF will continue to campaign for. The Peninsula Rail Task Force (PRTF) were pleased to welcome the Transport Minister Jo Johnson to Truro, Cornwall on Thursday 12th July as they discussed priorities for rail infrastructure investment in the South West. The minister reiterated the Government’s continued commitment to improving the rail network for passengers in the South West. During the meeting with the PRTF he welcomed the news that Network Rail was ready to launch the next phase of key resilience work on the route between Teignmouth and Dawlish, as design studies by engineers neared completion. The Government provided £15 million in funding after storms in 2014 damaged the line between Teignmouth and Dawlish. This enabled engineers to investigate long-term solutions that would protect the line in adverse weather. Chair of the Peninsula Rail Task Force, Councillor Geoff Brown said: “I’m really pleased we had the opportunity to meet the Minister, and relived that he has confirmed the plan for Dawlish. Jo Johnson said: “We are investing in the biggest modernisation of the Great Western Railway since Brunel built it more than 150 years ago, giving passengers what they want: faster, more frequent and more comfortable services. Peninsula Rail Task Force Chair, Councillor Geoff Brown said: “The adverse weather conditions, damage and subsequent disruption seen at Dawlish over the last couple of days underlines the urgent need for investment in a resilient line. “Storm Emma has caused the railway between Dawlish and Dawlish Warren to sustain substantial damage and whilst there is apparently no structural damage to the sea wall, a length of fencing and the associated coping stones have been damaged. “A large amount of ballast has been washed across the track along a 150m length of railway. Network Rail Engineers are working to remove and replace the ballast. Dawlish station itself has suffered minor damage, with wooden panels and handrails washed onto the track and a small section of the platform has been damaged. “The PRTF would like to commend Network Rail’s Team Orange which is working around the clock to ensure the railway can reopen, which at this time is anticipated to be within the next 24-36 hours at the earliest. Following visual inspections this morning we can confirm that the railway between Dawlish and Dawlish Warren sustained damage last night as a result of Storm Emma. There is no structural damage to the sea wall, and the integrity of the railway itself has not been damaged, which is testimony to the quality of the strengthening works Network Rail delivered in 2014. Team Orange will be working round the clock to make the railway safe so that it can reopen. There will be no services on this line today and we will issue an update later today confirming when we expect to reopen this section of the railway. Currently reopening is anticipated to be within the next 24-36 hours. Responding to the Great Western Franchise Consultation the Peninsula Rail Task Force (PRTF) reiterates its ambition to deliver a fit for purpose rail network for its passengers across the peninsula, with emphasis on achieving resilience, faster journey times and greater comfort and capacity. Our concern, like that of our many stakeholders, is to understand how any of these proposals outlined in the consultation document will help achieve our clear priorities. We have been clear that we are not looking for a change in the franchise geography, but instead changes in infrastructure, timetables and train fleets which will consequently transform the levels of service to the PRTF region. We would expect the franchise specification to form part of the government response to the 20 Year Plan “Closing the Gap”, which the PRTF presented to Government in November 2016. Closing the Gap identifies outputs, which would be delivered through the franchise, such as two trains per hour between Paddington and the South West and replacement rolling stock for regional and local services. We consider it important that franchise holders recognise the need for these objectives to work towards delivering the three priorities set out in the 20 Year Plan. Whilst the PRTF welcomes the majority of the objectives outlined in the consultation, it is vital that we can understand how the expected changes to the franchise contribute to the three priorities. Protecting the Dawlish mainline is key to maintaining continuity of service for our communities, businesses and visitors, even during extreme weather events. The South West’s economy cannot hinge on the inevitable occurrence of another storm, Network Rail has been clear that the probability of events at Dawlish and surrounding areas will increase by 600% by 2065 – a one in four year event. Combined, the collapse at Dawlish and flooding on the Somerset Levels in 2014 cost our economy an estimated £1.2billion. We cannot afford numerous hits on our economy. As we have stated, research has shown that productivity falls by 6% for every 100 minutes from London and a journey time reduction of 60 minutes would create a £1.2 billion uplift in GVA for the peninsula. The South West has the potential to thrive economically but remains untapped until improvements are introduced. We welcome the proposal in the Network Rail Strategic Business Plan to improve track condition between Totnes and Hemerdon as the first stage to enable higher line speeds and reduce journey times to Devon and Cornwall. Enhancements could see speeds improved from 60mph to 75mph, improving reliability and punctuality of rail services for passengers in the South West, leading to a reduction in journey times of three minutes. The PRTF welcomes the emphasis on closer collaboration between the franchise operator and Network Rail and expects the next franchise to progress delivery of the PRTF infrastructure needs. There is also the immediate need for fleets to run reliably, reduce journey times through effective timetabling and improve connectivity between the rail network and other modes of public transport. Passenger growth in the South West is exceptional and at 128% over the last 21 years, is over twice the national average and it continues to grow. Greater capacity through increasing the frequency of the trains as well as the number of seats can exploit this growth, driving economic expansion. There is the requirement for greater intra-connectivity within the South West, ensuring sufficient car parking, smart ticketing, signage and catering deliver the end-to-end journey experience expected by passengers. The new Hitachi trains can provide the first ‘smart’ intercity service in the country, providing reliable mobile and WiFi connectivity throughout the journey to encourage a travelling office. The PRTF will endorse a franchise that understands the issues that the region faces on a daily basis. Putting its passengers first through the delivery of a resilient service is paramount. Any train operator is only as good as its infrastructure and we urge the Department to address these issues as soon as possible. “I can confirm that we have opted to reschedule the publication of the 20 Year Plan report until after the summer. We need to make the strongest possible case to Government for rail improvements. To do this, we require information that is not yet in the public domain. “The publication of the latest economic data, journey time study findings and the Dawlish resilience study, are all scheduled in the coming weeks and rescheduling the publication of the report will allow the work on these topics to be finalised. This week sees the end of the consultation on the Peninsula Rail Task Force’s draft 20 Year Plan for rail improvements across the South West. Launched earlier this month, the plan sets out the vision for rail connectivity across the peninsula and potential improvements to achieve this over the next 20 years…. Cont. 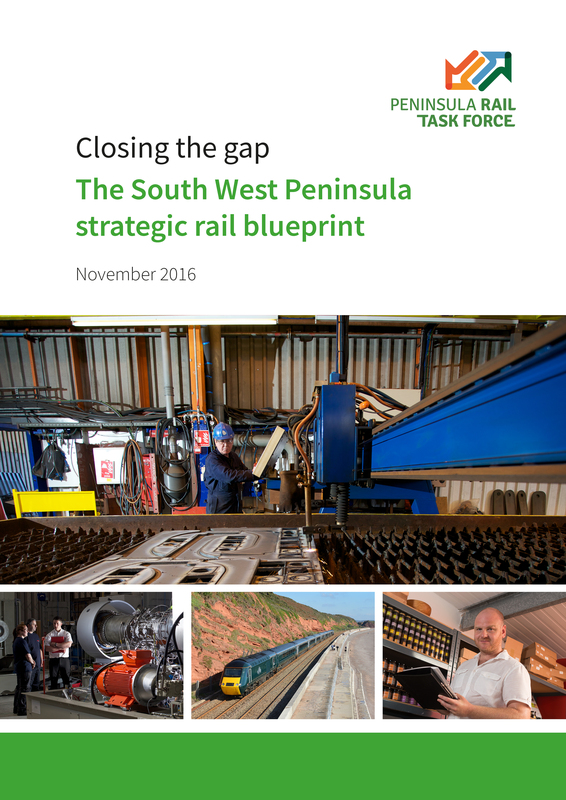 The Peninsula Rail Task Force has launched the consultation on its 20-year plan for the South West rail network. The plan sets out the vision for the peninsula’s rail connectivity and the potential improvements needed to achieve this over the next 20 years…. Cont. South Devon Railway Winter Steam Festival will go ahead as planned as a speedy recovery is undertaken to clear a landslip caused by storm Imogen. Staff at the South Devon Railway have been working against the clock to clear and repair the tracks in time for the half term festival which will go ahead as advertised. More information on the South Devon Railway can be found at: http://www.southdevonrailway.co.uk. In response to the news that GWR will be commissioning and funding the Network Rail Study the Government asked the Peninsula Rail Task Force to prepare for this summer. TravelWatch SouthWest, the region’s passenger watchdog, calls for Network Rail’s duties to include “improvement” so studies like the one which GWR is funding, become a standard part of their route studies. TravelWatch SouthWest welcomes the announcement that GWR will be commissioning and funding a Network Rail study into what can be done to the existing rail infrastructure to improve linespeeds and maximise the benefit of the new trains GWR are introducing between London, Devon and Cornwall. Without the study, a report the Government asked the Peninsula Rail Task Force to prepare for the summer, outlining a realistic aspirational plan for the route, would have been missing a vital component… Cont. 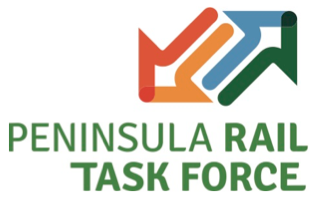 “We are pleased that the funding has been found to explore the potential for faster journey time and electrification for the Peninsula Rail Task Force report. We alerted DfT about this issue in December, so it is helpful that this has finally been sorted, and our sincere thanks to our MPs who have been so active in this regard. The Task Force has been working with the Department of Transport and Network Rail since last summer on planning the report and naturally Great Western Railway has been a key partner in our work.The support from GWR enables us to fulfil our joint commitment to a detailed and rigorous document, which is something that all of agreed was required from the outset. We are grateful to GWR for its timely intervention. The Peninsula Rail Task Force (PRTF) is calling on the Transport Minister to step in and provide crucial funding for two network rail studies that will form part of the evidence for investment into the South West rail network. “When we were invited by the Prime Minister and the Secretary of State to put forward our plans for the South West rail network, we were pleased that our issues of poor connectivity were finally being recognised… Cont.